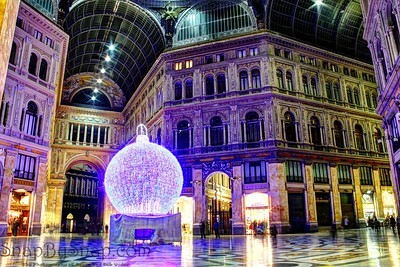 I can only describe Naples as having a course beauty to it. 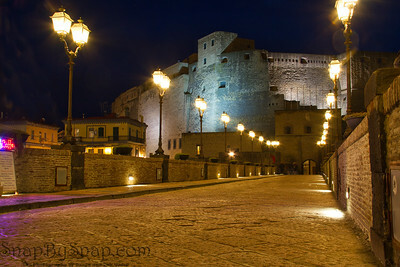 If not standing to close, you see a city built on med evil streets with modern and classical buildings. Get to close, and you see graffiti and some rather unpleasant odors at times. None the less I found the people to be very friendly. There is a big red double decked bus to ride around on. 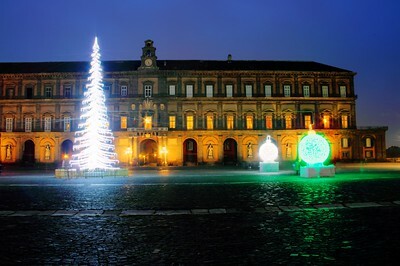 You get on and off all day at each one of its stops. I do recommend that you keep a look out for pick pockets. 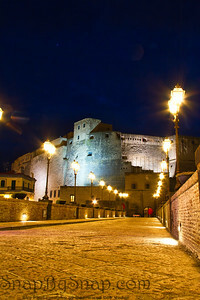 If you go into the “old City”, do so in a small group. 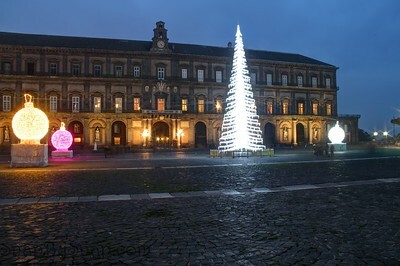 I did so as an individual but did not feel safe. 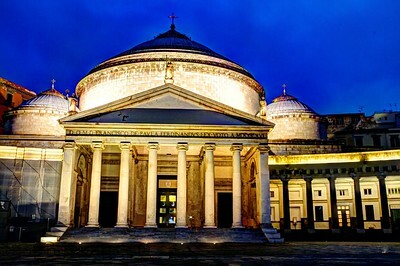 Don’t forget to go into the many churches but be respectful and wear pants, not shorts. 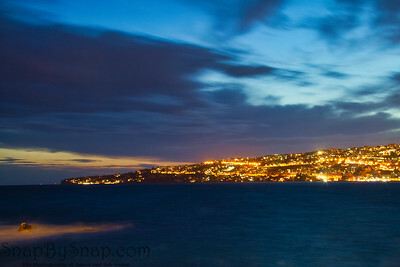 Long exposure image of the Bay of Naples during the blue hour. 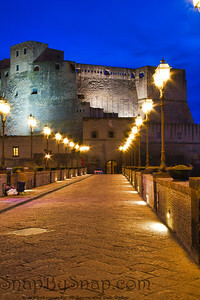 Evening image of Castel Dell Ovo in the Bay of Naples during the blue hour. 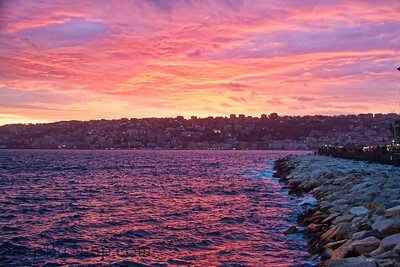 The Bay of Naples during sunset. 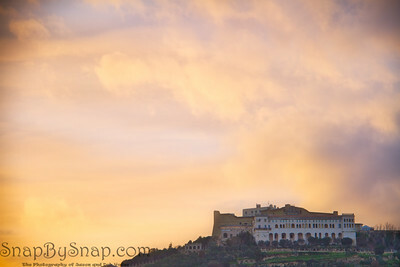 The Bay of Naples reflecting the brilliant colors from evening light on clouds. 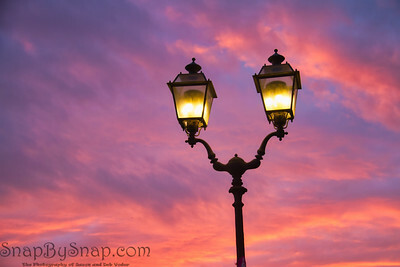 An antique street light with colorful evening clouds in the background. 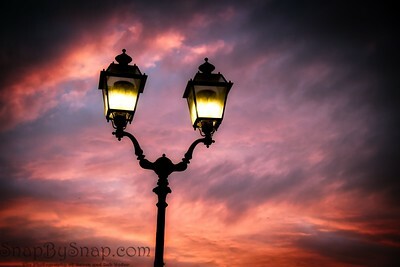 An antique street light with colorful evening clouds in the background with a vignette. 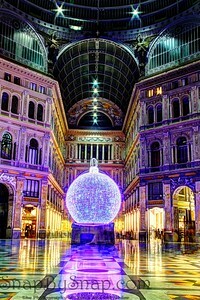 Naples, Italy - Inside the Galleria Umberto with the Christmas decorations still up. 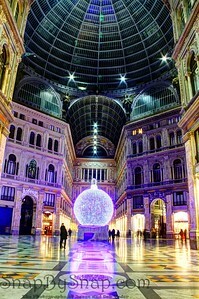 This place is cool to begin with. 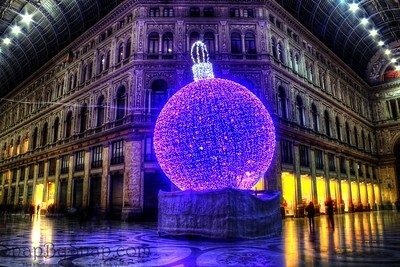 Add that giant Christmas ball and the reflective floors just makes it awesome. 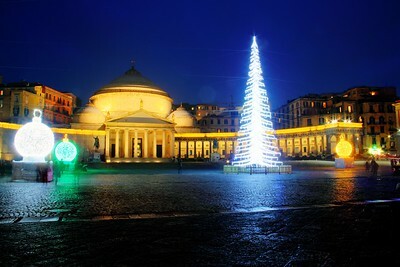 Naples, Italy - Christmas lights in Piazza del Piebiscito. 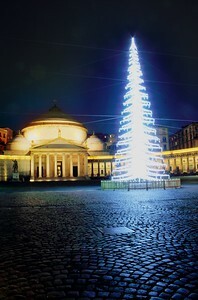 Naples, Italy - This is Piazza del Peibiscito in the evening with Basilica Reale San Francesco di Paola in that background at Christmas. 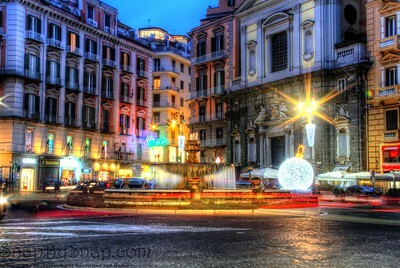 Naples, Italy - This is in Piazza del Plebiscito looking at the Royal Palace of Naples. 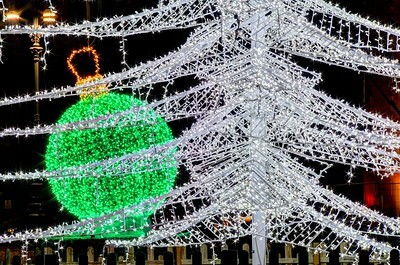 Normally I would not be out at night by myself, but I timed this for right after sunset and close to the bus stop. 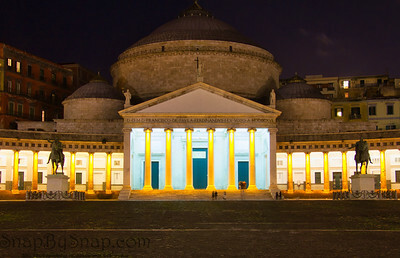 Naples, Italy - This is an evening shot of the Basilica Reale San Francesco di Paola. 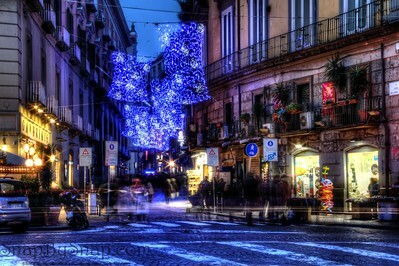 Naples, Italy - This is a long exposure of Piazza Trieste e Trento in the evening with the Christmas lights on display. 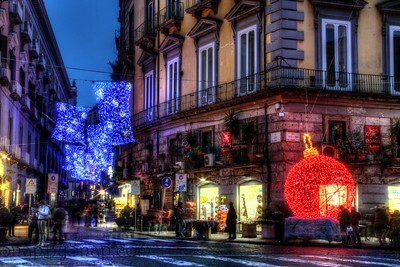 Naples, Italy - This is looking up Via Chiaia in Napoli. 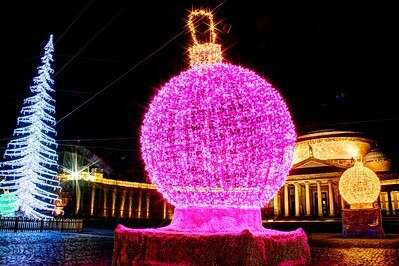 I was fortunate enough to get to Italy while the Christmas decoration where still up. 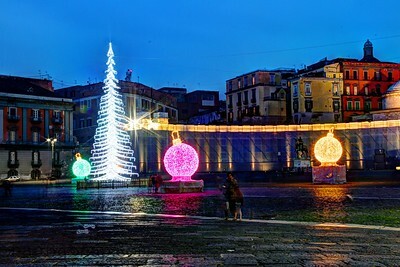 I am standing on the Piazza Trieste e Trento. 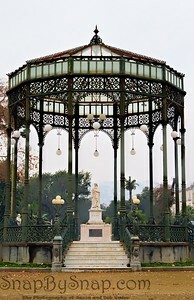 Naples, Italy - This gazebo is in Villa Comunale. I have no idea who this person is.